Bourbon whiskey was invented in Kentucky and, with over 70 distilleries scattered throughout the state, you’re unlikely to be thirsty. Unless of course you’re at the Kentucky Derby, anxiously waiting for your horse to come in, scared you’re going to lose your money. Better to be in a honky-tonk, dancing to bluegrass jazz, the state’s own version of country music, where a tipple or two is a medical necessity. Apart from the pull of the bourbon, Kentucky with its museums and history, makes for a highly cultural road trip. At Louisville airport you’re greeted by a huge sign saying Colonel Sanders (of fast food fried chicken fame) Welcomes You. Apart from the good colonel, the city is famous as the birth place of Muhammad Ali, once known as the Louisville Lip for his banter. 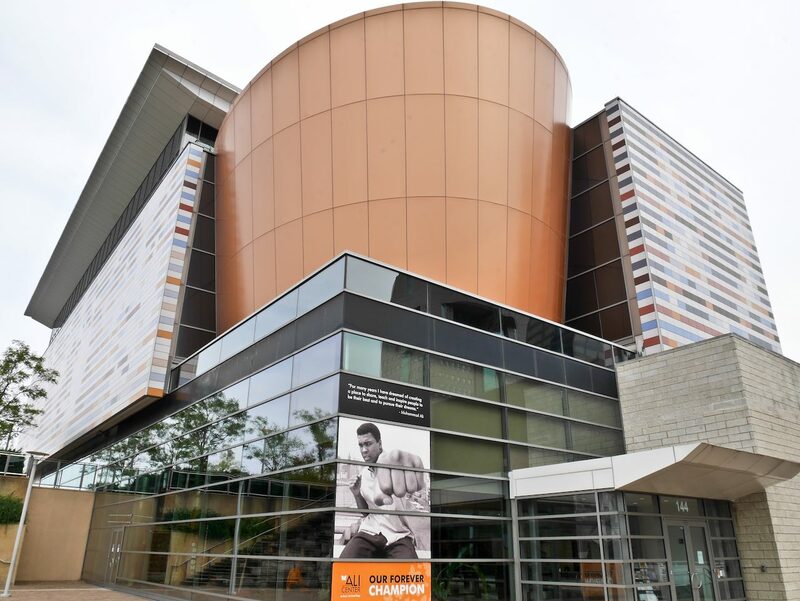 Before he died he founded the Muhammad Ali Center with his wife and the emphasis here is more on his humanitarian work rather than boxing. Of course there are films of his famous fights with Henry Cooper, Joe Frazier and George Foreman but the display is laid out around his six core principles; confidence, conviction, dedication, giving, respect and spirituality. He was a deeply complex person and it’s a tragedy that he was incapacitated by Parkinson’s disease shortly after he retired from boxing. Louisville is also a horse racing town and the track at Churchill Downs hosts the Kentucky Derby on the first Saturday in May. 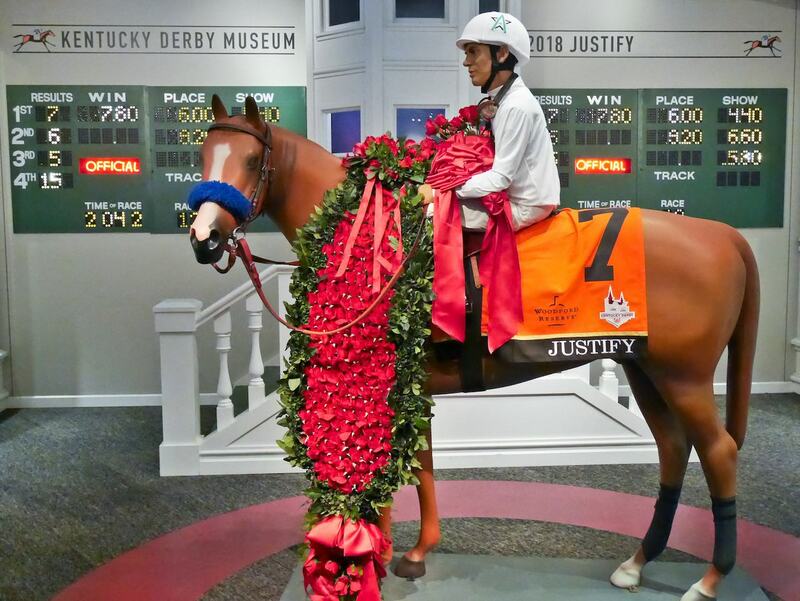 It opened in 1875 and has grown to include 40 stables, a Kentucky Derby Museum and of course the famous stadium which can hold up to 170,000 spectators. Only 20 horses compete, after competing in heats all across the US, and they must be three-year-old thoroughbreds. The race lasts under two minutes and in 2018, the winning horse, Justify, earned its owner $1,432,000. 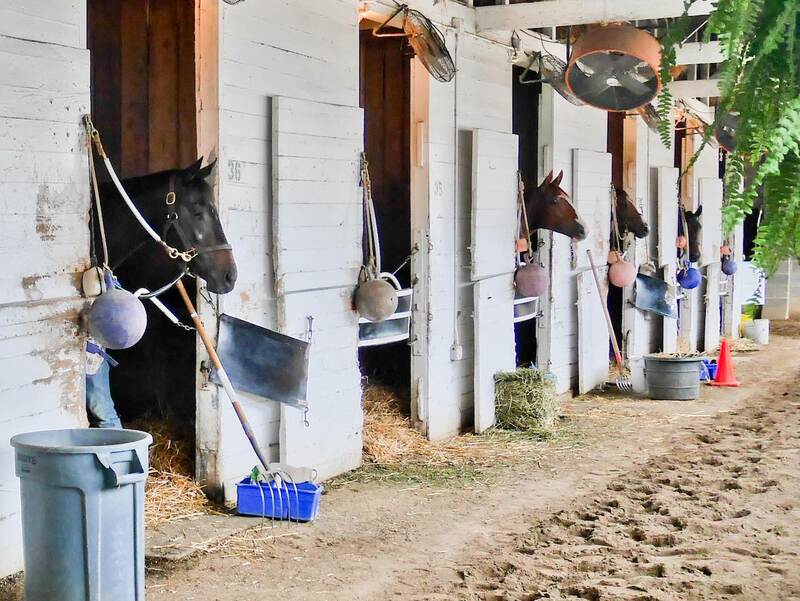 If you’ve ever wondered where race horses go when they retire, then around 70 miles east, in Georgetown, is the Old Friends Thoroughbred Retirement Farm. It’s run as a labour of love by former Boston Globe film critic Michael Blowen. 129 racehorses are out to grass here, with the oldest a venerable 32 years. There are a couple of Derby Winners passing their twilight years on the tranquil 126 acre site, including the 1997 winner, Silver Charm, and also the star of the movie Seabiscuit, Popcorn Deelites. 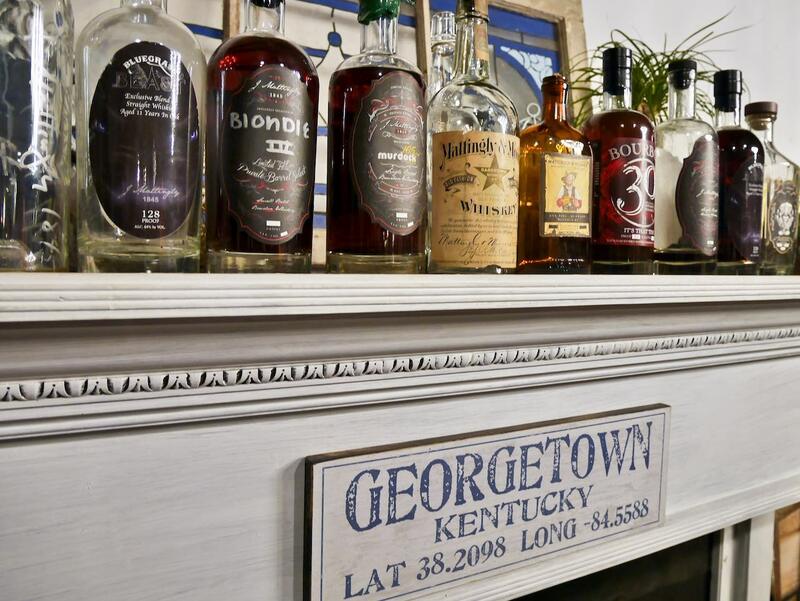 Georgetown also claims to be the birthplace of bourbon – apparently, in 1789, the Reverend Elijah Craig distilled the first Kentucky bourbon using the water from a local spring. Of course there’s no proof but he was probably the first to age it in charred oak casks, the process that gives bourbon its colour and distinctive taste. This certainly gave Kentucky a head start and now the state is responsible for 99% of the world’s supply. If you are interested in tasting the difference, there’s a mapped Bourbon Trail which guides you around the distilleries. 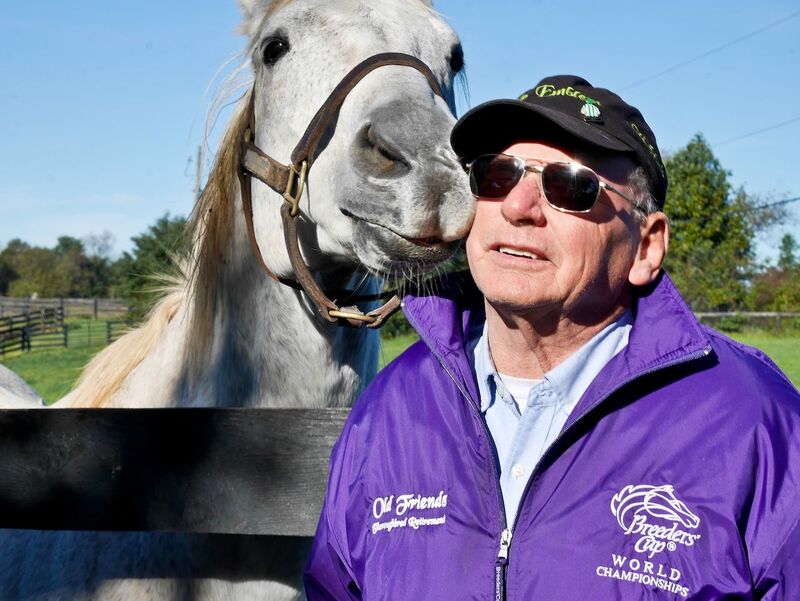 Horses are big business in Kentucky and stud farms are dotted all over the state. 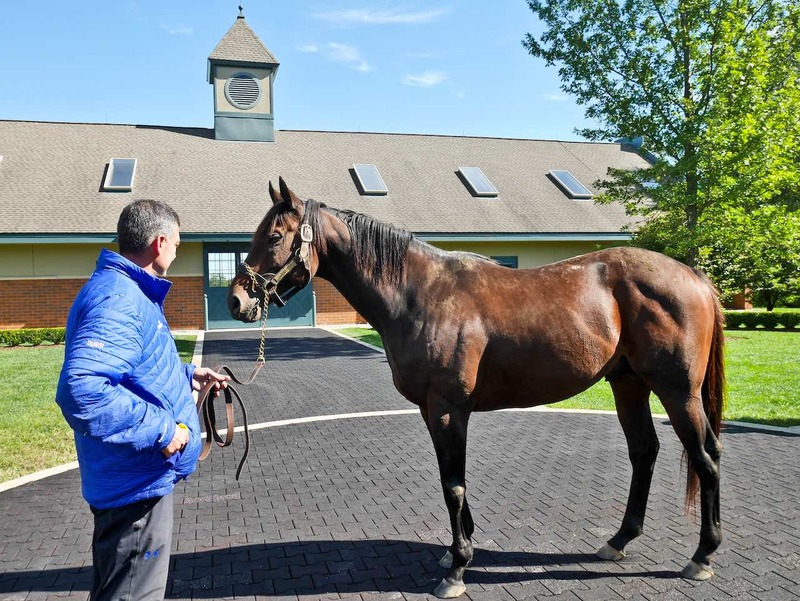 Godolphin, at Jonabell Farm in Lexington, 15 miles south of Georgetown, is owned by Sheikh Mohammed of Dubai. They charge a fee of £200,000 for letting their stallion Medaglia d’Oro, “cover” your mare. The horse never won the Derby as it didn’t compete but they have three that did – the services of Street Sense, Animal Kingdom, and Nyquist are all on offer. For a much smaller fee, you can take a 90 minute tour of the farm and get up close to these thoroughbreds. 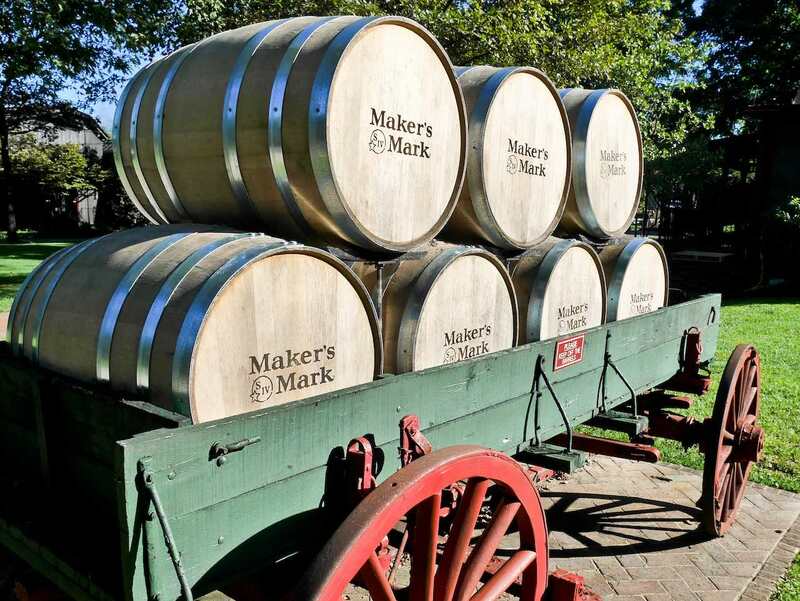 Distilleries are dotted all over the state but one of the most attractive is Makers Mark in Loretto. The buildings at Burk’s Farm, in the middle of the countryside, date from 1805, but the whiskey is a relative newcomer. In 1953 Bill Samuels Senior was searching for a way to make a smoother whisky, something more palatable to modern tastes. He used 16% red winter wheat instead of the traditional rye and aged it for 5 years. The first bottles appeared in 1958 and met with immediate success. You get a tour of the distillery and then a guided tasting. If you’re a music fan then you’ll definitely be making pilgrimage to the tiny village of Rosine, in the west of the state. 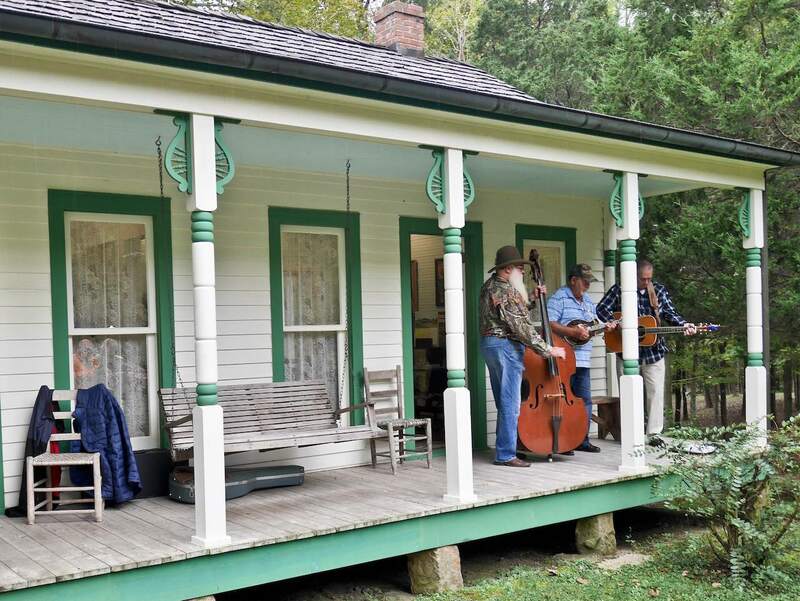 It’s the birthplace of legendary bluegrass pioneer Bill Monroe and the home where he lived from the age of six has been preserved. His parents both died when he was young and he learnt to play fiddle tunes on the mandolin from his disabled Uncle Pen. He formed a group known as the Bluegrass Boys, went to Nashville in 1939 to perform on the Grand Ole Opry and his songs were an immediate hit. Bluegrass was louder and faster than anything that had gone before and he changed the face of country music. His memory is still kept alive here as every Friday night musicians arrive to play in the general store and in the Rosine Barn next door. 40 miles north of here, in Owensboro, they’ve just opened the Bluegrass Music Hall of Fame & Museum. It’s on two floors with downstairs telling the story of bluegrass from its roots in Scottish and Irish fiddle music and the upper floor home to the Hall of Fame. There’s also a 450 seat theatre where famous bluegrass artistes perform and an outdoor stage for summer concerts. And if you want to learn to play the music, classes are run every Saturday morning.